Drutex S.A. - Comfort in usage and access control! Comfort in usage and access control! blueSmart from Winkhaus allows to control access to the rooms online. It is an electronic system of cylinders opened with a key. It is based on new wireless technology where data exchange takes place by means of so called virtual network, and using the Internet we may determine who will receive the access authorization, when and for how long. 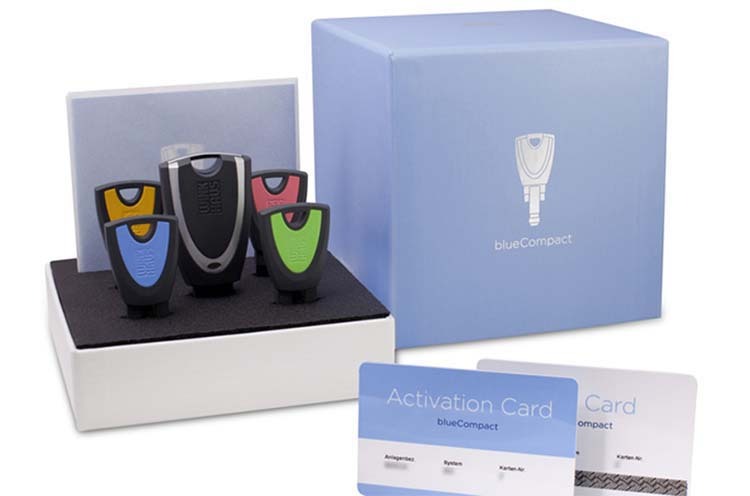 Bluesmart is used for easy management of complex systems of access control. It controls access, registers the users’ movements and counts the services that they use – in office buildings, hotels, hospitals, sports halls, historical monuments, nursing homes, schools, as well as airports. When the user puts the key next to the reader or inserts it into an electronic cylinder, data exchange takes place such as change of access authorization to rooms, change of temporary access restriction, record of door use, battery status notification and many others. Any organizational changes may be entered into the system with a few clicks. Lost keys may be blocked at any time and new access schemes may be entered. Access authorization may be temporarily restricted, and entry and exit – controlled in the electronic register. This smart solution combines the advantages of offline and online systems, making the building operation more comfortable and cost-effective. How does it work?Jak to działa? blueSmart operates via a virtual network. The electronic components of the system communicate with one another wirelessly and offline, this way they process information and relay the information to other components. As a result, system-related commands are updated at a very fast rate and extremely easily. 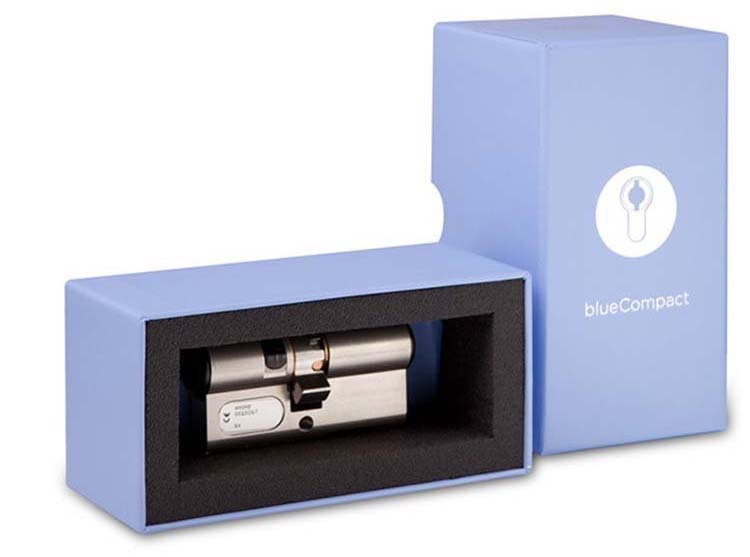 The information is transferred by the blueSmart user key which sends it to the cylinders in the scope of daily use. When the user puts the key next to the reader or inserts it into an electronic cylinder, data exchange takes place, such as changes to the local locking rights, changes of the time limits, lock event logs, battery status messages and much more. With the virtual transmission of information, manual programming of cylinders in individual door can be eliminated. The administrator enters authorization for individual users on a central computer. All organizational changes may be entered into the system with a few clicks. Lost keys may be blocked at any time and new access schemes may be entered. The system is installed fast and easily since it does not require wires like the existing electronic solutions, and the electronic cylinders have the same size as traditional cylinders. They are equipped with very efficient batteries and the memory of 2000 recent events (with the date and time). Bluesmart is compatible with worktime control system, alarm systems, energy management in the building etc. one system may consist even of 195.000 cylinders or keys.